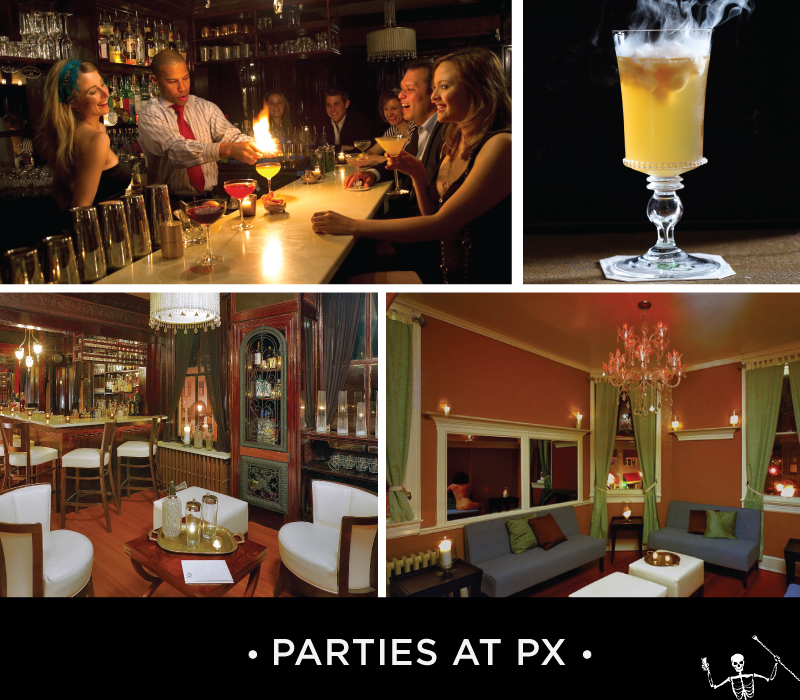 Located in Alexandria Old Town, PX is an intimate cocktail bar from native Virginian Todd Thrasher. Much like a fine dining establishment, PX assigns all patrons individual seatings. 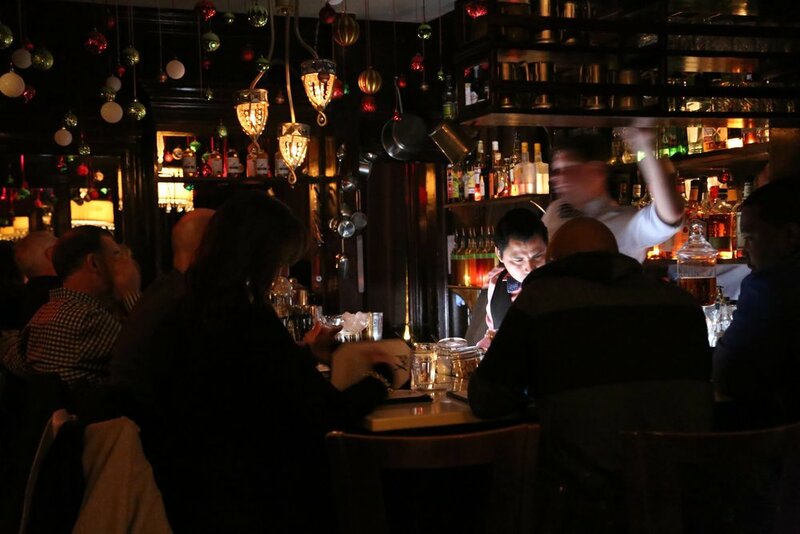 As a result, our intimate speakeasy has area for only 25 guests at any one time. We invite you to revisit a time when dressing up was de rigeur. Just a simple request on our part to set the mood. Gentlemen are required to wear collared shirts, no t-shirts, flip flops, gym attire or torn jeans. Ladies, you know what to do. .
Look for the blue light. Groups larger than 8 are considered a private party and must be booked through our contact form. Due to the intimate size of the bar, we ask parties do not request to be seated next to other parties as we are rarely able to accommodate. We also respectfully ask that you provide credit card information at the time of reservation. We accept Visa, Mastercard, Discover. We require 48 hour notice for cancellations or you may be subject to a cancellation fee of $20 per person for last minute cancellations. If you do need to cancel or adjust your reservation - kindly email: Maria(at)EatGoodFoodGroup.com. * Please do not send queries to this email, use the contact form. Knock Knock - We do try to leave space for last min or walk-in guests. There is more flexibility on Wednesdays and Thursdays. Espolòn Tequila blanco, New Amsterdam Spirits vodka, Blue Curaçao, passion fruit, lime juice, and salt water. Love libations? 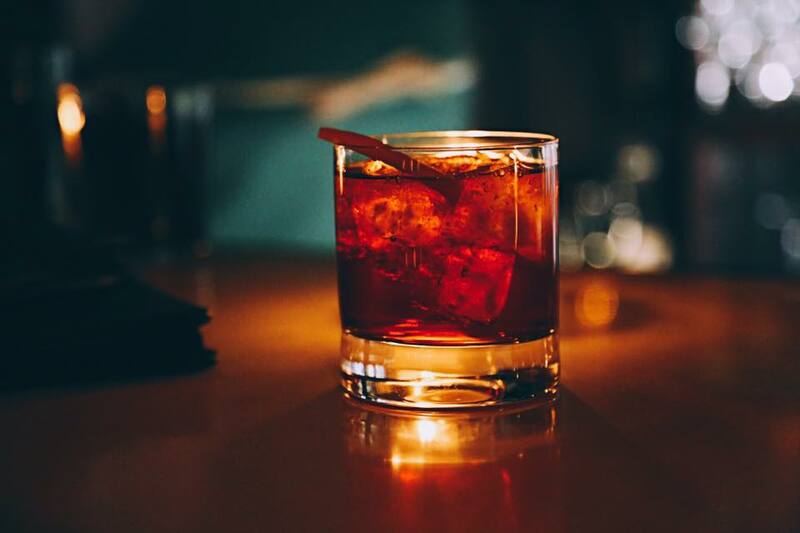 Interested in learning how to make the perfect Old Fashioned? 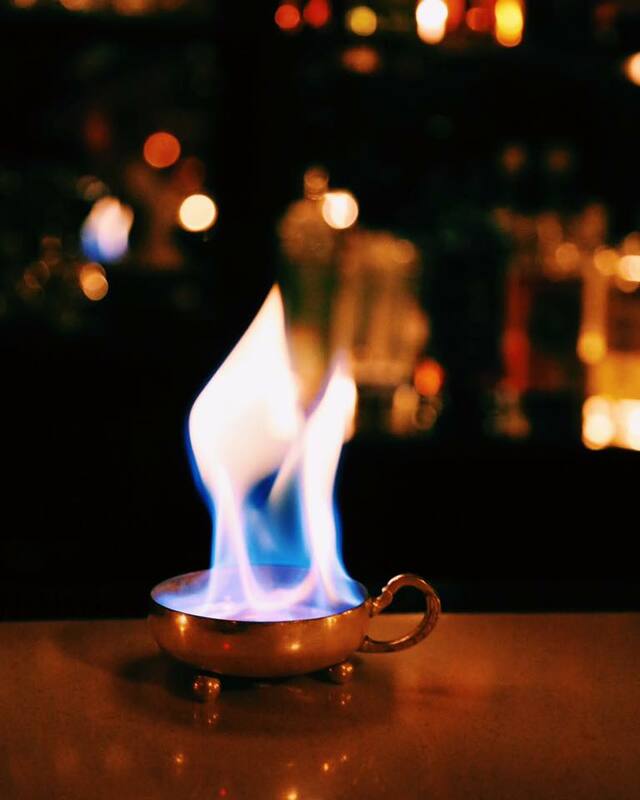 At PX, Old Town Alexandria’s celebrated speakeasy, head bartender-distiller Todd Thrasher offers an inter-engaging mixology demonstration with a cocktail menu curated specially for you. 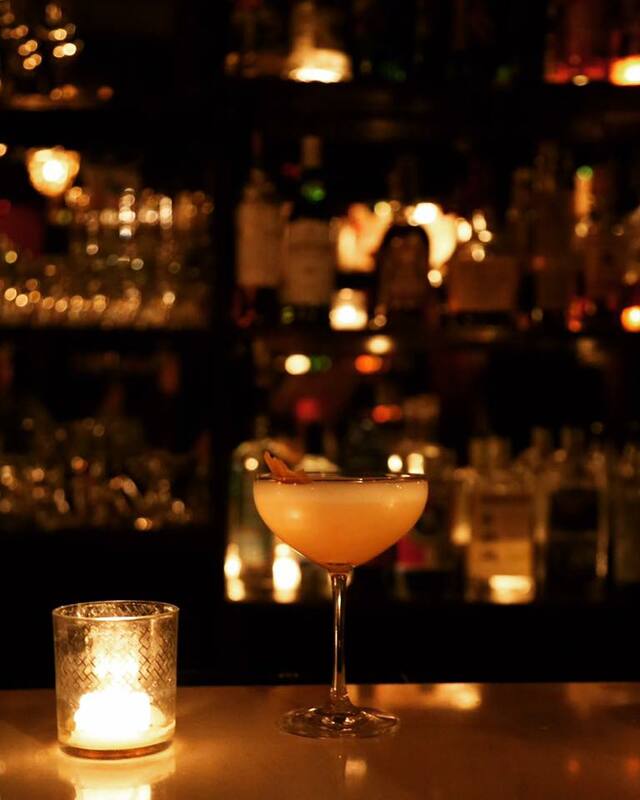 From Prohibition Era classics to culinary-inspired ingredient-driven cocktails, your guests will sip while learning the secrets & stories and tips & techniques behind three craft cocktails in a picturesque speakeasy – perfect for team building, bachelor/bachelorette parties, corporate events, client entertaining, or even just a group of cocktail enthusiasts. Intimate and cozy, couches and candlelight. Perfect for small groups and gatherings. $500 minimum for a two hour soirée • $250 per additional hour. Guests: Maximum of 40 guests - PX is yours for the evening. Days Available: Sunday – Thursday: $2500 for three hours, $500 per additional hour; Friday – Saturday: $3500 minimum for a three hour soirée, $750 per additional hour. Minimums vary per season. Please inquire. Make reservations for parties of 8 or more | Send queries to book a party! We will do our best to respond as soon as possible. Please note, In keeping with the “speakeasy’ vibe, PX does not have a phone. Are you a party over 8? If you are a party over 8 please provide us with number of guests and an expected time. We will respond as soon as possible.